Comments : pichu bros are cute. 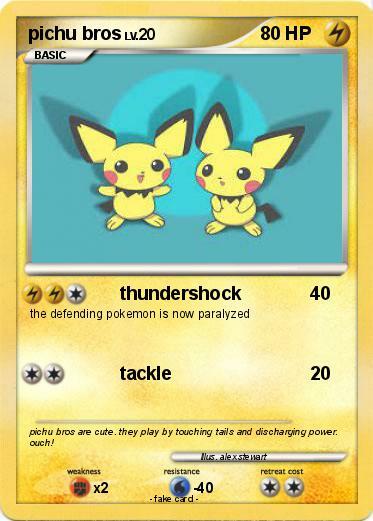 they play by touching tails and discharging power. ouch!